Time for yet another upgrade for our faithful MakerBot Replicator 2 3D printer, this time we are going to be upgrading the plastic filament drive mechanism of the extruder with a better all metal version from Fabberworld. The filament drive upgrade comes as a full kit containing all precisely CNC machined parts from aluminum that will replace the plastic parts, along with stainless steel screws, replacement bearing, spring and even a pulley gear for the motor. The kit is designed for Replicator 2 3D printers that have a total thickness of the plastic parts of 20mm as there are models of the printer with slimmer 15mm parts, but we have figured out an easy way to install it even on these. We are going to get back to that in a moment however. There is also a version of the upgrade available for MakerBot Replicator 2X 3D printer where you essentially get two kits – a left and right one for each of the motors of the dual extruder 3D printer. 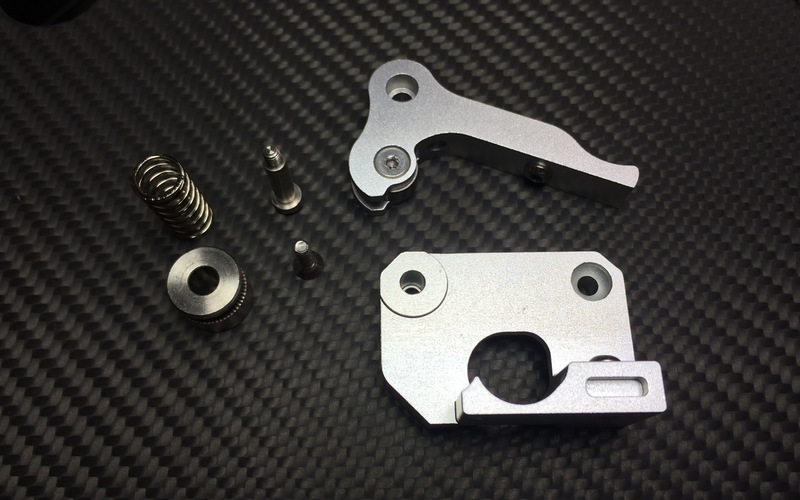 Probably some of you will ask why we would want to upgrade the standard plastic parts with aluminum ones, the answer is simple – plastic wears off easily, it breaks and it does not handle that well a lot of heat. The standard plastic parts are from injection molded ABS plastic that is pretty durable and resistant to high temperature, but over time it can start to wear off from abrasive filaments and to deform or even break from the constant high temperatures around it. Back on the metal upgrade kit, it not only replaces the plastic parts, but also comes with some improvements that help you get more consistent and problem free prints and these actually do seem to work well. On the top “lever” where the filament goes in there is a wider opening to allow the PTFE tube to slide in and make the filament slide in easily when you load it into the extruder, though if you are not using the Teflon filament guide tube this can actually make it a bit harder to load filament. The included MK7 pulley that replaces the standard one has a smaller gap where the filament goes through that is more suitable for the 1.75mm filament that the MakerBot Replicator 2 uses. The standard pulley that our printer came up with seems to be more suitable for 3mm filaments than the 1.75mm one that we are actually using, so after the upgrade you should also get more contact surface and force pulling the filament through the nozzle and thus in theory less problems with filament jams. Now, how to install the filament drive upgrade for the extruder of MakerBot Replicator 2 3D printers that come with 15mm thickness of the plastic parts. We have figured out a way to do everything as easy as with 20mm models, all you would need are two 5mm spacers to bring the motor back the needed extra space. The only thing that you would need to remove is the fan grill in front of the cooling fan of the extruder and then the two screws holding everything in place will be long enough to accommodate the 5mm spacers (you can use two 2.5mm ones or a different combination if you do not have a single 5mm ones). 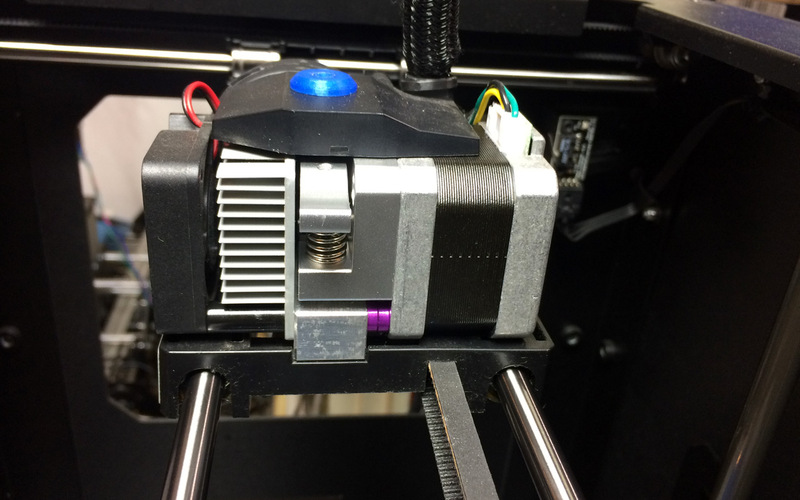 The cooling fan blades are small and if you do everything with a bit of extra caution around the extruder while the printer is operating you should not have trouble even with the fan grill missing. 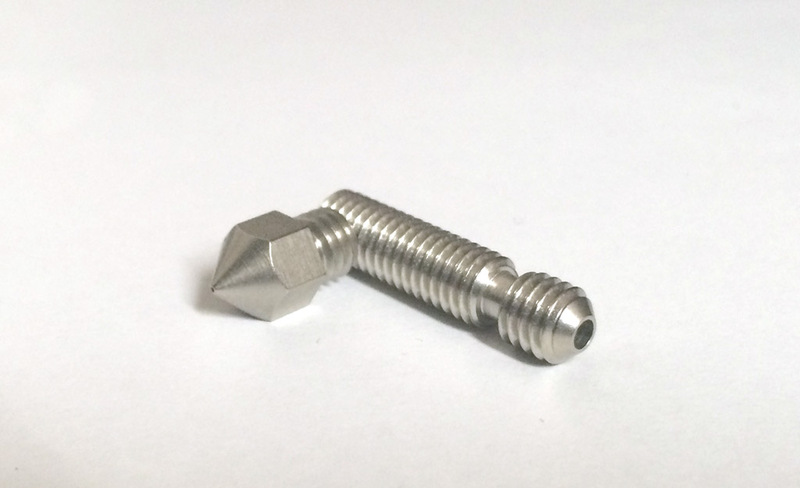 Alternatively you can look for screws with extra 5mm length and keep the full build with the fan grill, but finding only two 5mm spacers should be easier and you can probably build them with existing smaller spacers that you may have lying around. For the price that the MakerBot Replicator 2 3D printer sells one would expect to get a 3D printer that is well built and very durable with no problems while printing, but our experience has shown that after you get the device you still need to do some upgrading and tuning as you go. One of the good upgrades that you might want to do in order to have less problems on the long term with issues working with the 3D printer is the filament drive upgrade of the extruder, though it is not the only one. Do note however that some of the upgrades, including this one are not as easy to be performed by people that are new to 3D printing and are not familiar with their 3D printers as it requires to disassemble the extruder and then assemble it again with the new parts installed. Time for testing another upgrade for our MakerBot Replicator 2 3D printer, we found an interesting offer by a company called AVN Swiss on eBay that offers a performance hotend upgrade for the device. It is a kit containing a specially coated nozzle and thermal barrier tube with a very low friction plating called TwinClad XT. According to the manufacturer TwinClad XT is a nickel composite coating designed to be very hard, corrosion resistant, and have good release properties against plastic. It is supposed to offer one of the lowest coefficient of friction, better then nickel with PTFE codeposit and the hardness supposedly makes this coating abrasion resistant. So if you are working with more abrasive filaments like Carbon Fiber, Aluminates, ColarFabb MetalFill etc. this upgrade is supposed to greatly increase the life of your nozzle and thermal tube. Low friction will also prevent clogs in thermal barrier tube, a critical zone where plastic liquidizes. We have tested numerous different nozzles on our MakerBot Replicator 2 3D printer, including low friction ones with additional coating, but that did not completely resolve the issues we’ve had with filament jams from time to time. After installing the hotend upgrade kit from AVN Swiss however for about a month already we haven’t had a single filament jam. So it seems that while the nozzle is important the thermal barrier tube also takes part in the cause of filament jams and so the result is that this kit does a great job in preventing them. Definitely a good upgrade, however we should warn you that the installation and adjustment of the new thermal tube and nozzle can be quite hard and is not advised for novice users that are not yet familiar with their 3D printer. So we would recommend this upgrade only to advanced users that are familiar with their hardware and will easily manage to remove the old nozzle and thermal barrier tube and replace them with the new ones. 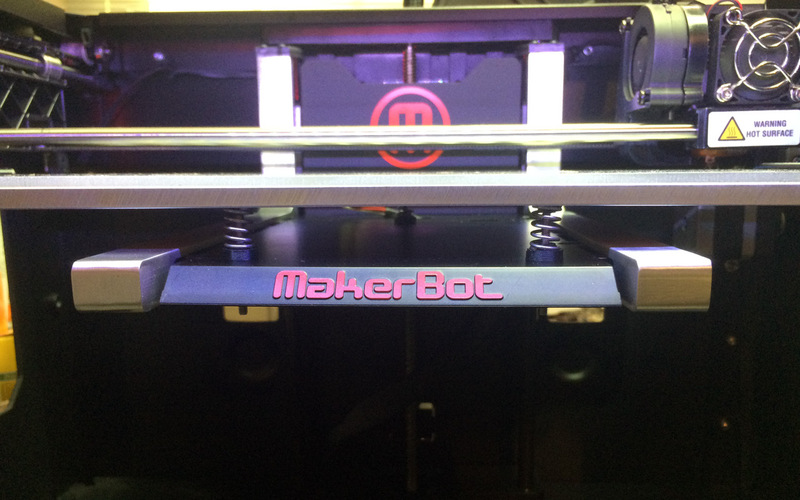 The upgrades for MakerBot Replicator 2 3D printers made by BC Technological Solutions are among the highest rated and recommended ones by users of the device in the 3D printing community. So we’ve had to get them and try them out and after a bit of waiting for the order to arrive we are ready to share our initial impressions starting with the Aluminum Arm Upgrade. What we can say for sure is that the installation of the Aluminum Arm Upgrade is not for the faint hearted and inexperienced users with DIY and hardware as it does require a lot of disassembly and a bit of tinkering to adjust things for smoother operation. The whole process does take some time, but the results are really good after the upgrade. 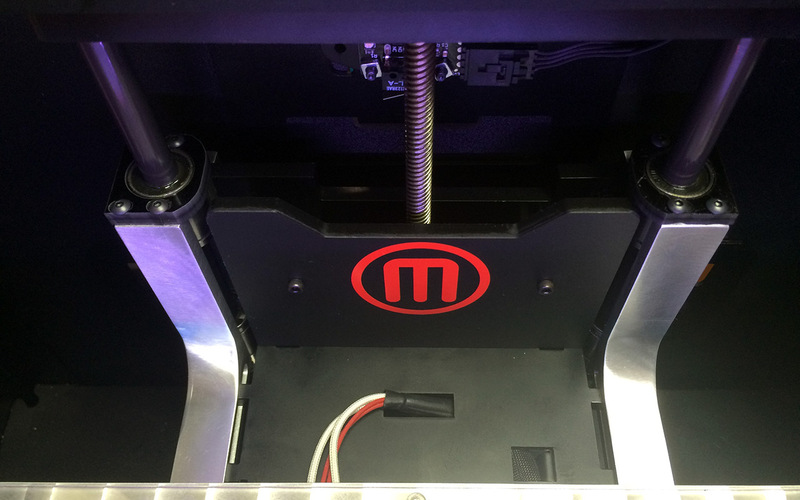 The installation instructions that came with the upgrade kit are not as detailed and as easy to work with for inexperienced users that do not know well their MakerBot Replicator 2 3D printer. So do have in mind if you decide to order this upgrade, there are more affordable and easier to install alternatives that will provide similar improvement, though not as good as with these. The parts in the upgrade kit, especially the aluminum arms are very well made, though on one of the arms we received the mounting holes were a bit off which made it a bit harder in the adjustment phase, but was not a problem in general as you have some room for adjustment available from the bearing retainers. Mentioning bearings reminds us for another advantage that the Aluminum Arm Upgrade from BC Technological Solutions offers – it allows you to install bearings on the Z axis as well and since we already did the bearing upgrade for the X and Y axes this essentially completed the bushings to bearing replacement. 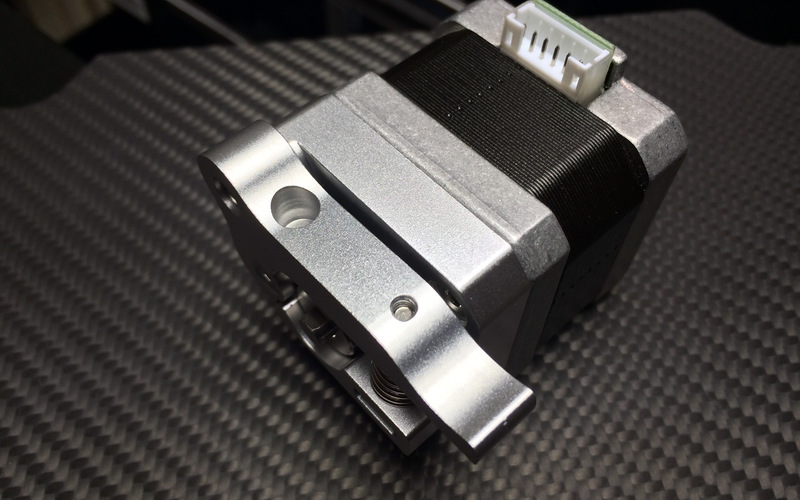 The standard plastic arms do not allow for the addition of linear bearings on the Z axis as there are apparently no suitable linear bearings available that can fit there. With the custom aluminum upgrade arms however you not only have the ability to use linear bearings instead of the standard bushings, but they are even included in the kit. Apart from the fact that you need to spend some time disassembling the 3D printer, installing and adjusting and then reassembling the whole thing which can easily take up a few hours the Aluminum Arm Upgrade is nice and works well. At $150 USD it is a bit expensive and it could use some more improvement in the design to make it easier to install and adjust, but the end result is worth it. If you are looking for a more affordable and easier to install solution you can check out the Performance 3D Aluminum Arm Stiffeners upgrade we’ve used prior to installing the arms from BCTS.